A condominium is a type of ownership in which a property is divided into separate units, each of which may be offered for sale. Each buyer owns his unit as well as shared interest in common areas. Condo owners are responsible for maintaining the units they own. The community association maintains the common areas. When an owner and an association disagree over what constitutes a common area, conflict often ensues. Plumbing problems are an example of the type of issue that can create such a conflict. 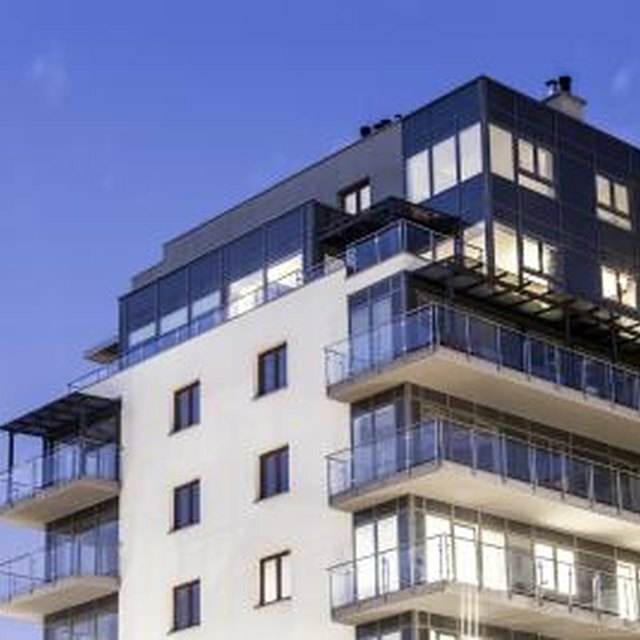 Condo associations should clearly define items they consider to be limited common elements. A master deed is the document that creates the condominium. Also referred to as the condo declaration, the master deed describes the condominium and its elements. It also lists permanent mandates for the condominium’s operation. A condo unit is the air space between the perimeter walls and between structural elements attached to the unit, such as a balcony or deck. The master deed may assign to a unit spaces that aren’t attached, such as parking spots. Unit owners have shared interest in common areas, also known as common elements, which are the public spaces and things that benefit all of the unit owners. Land, lobbies, recreation areas and such structures as basements and roofs are examples of common elements. A limited common element is a common area that benefits a single owner or a limited number of owners, to the exclusion of the other owners. Limited common elements are considered appurtenances that "run with the property" -- that is, use of the element is part of the property and it stays with the property no matter who owns it. Some plumbing is a limited common element. Although it's part of the building, which is a common element, it terminates in individual units. Each termination point benefits a specific owner, to the exclusion of other owners. The other owners benefit from their own termination points. Responsibility for maintaining limited common elements is determined by state law and by the master deed and other condominium documents that outline the building's or complex's rules and regulations and the restrictions the community association places on individual units. Generally speaking, the portions of the plumbing system that carry water throughout the building are common elements. As such, they are the association's responsibility. Termination points, such as faucets and washing machines, and the pipes that carry water from the common-element plumbing to the termination points, are usually the owner's responsibility. Condo Law Group Blog: Who Pays for Limited Common Element Maintenance? The NJ Cooperator: What Building Systems Are You Responsible For?